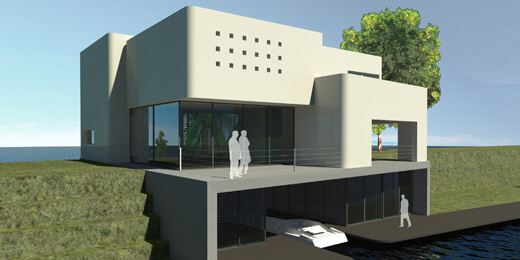 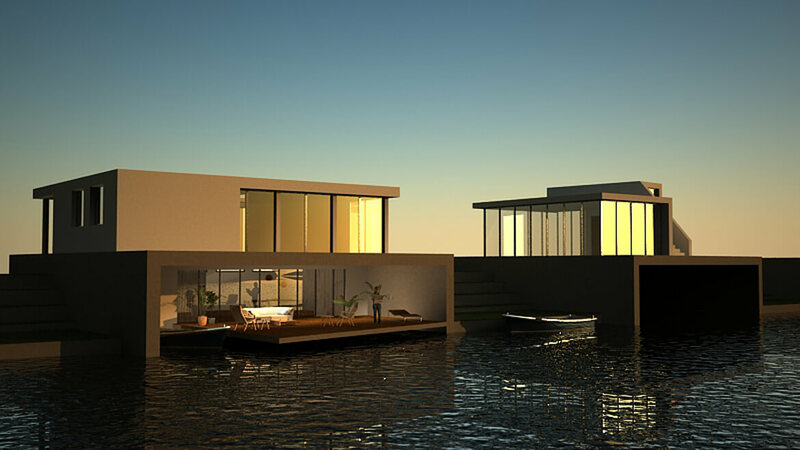 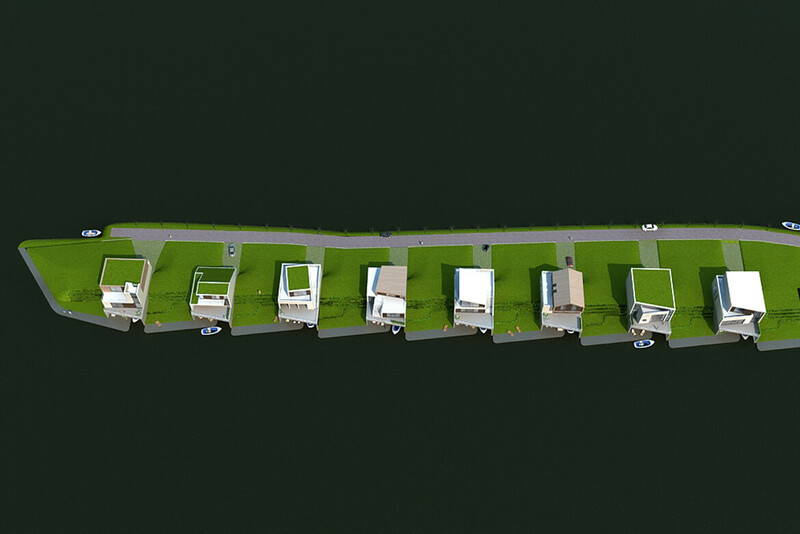 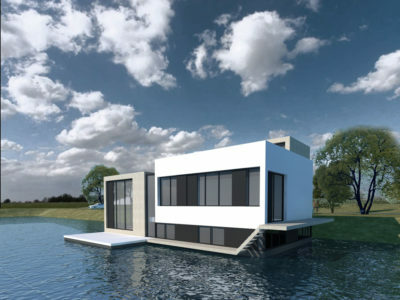 For the New Water project 8 Traverse villas are designed. 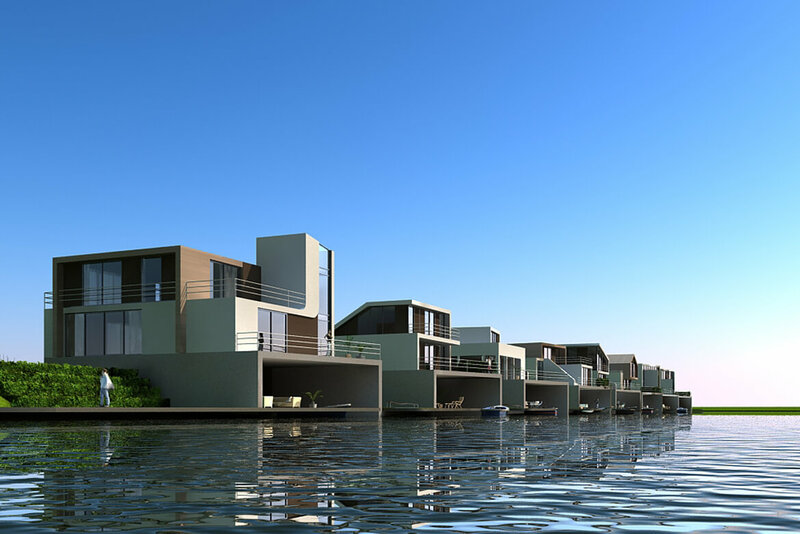 The villas have all the same concrete base that is placed into a dike but on top they all have a different construction. 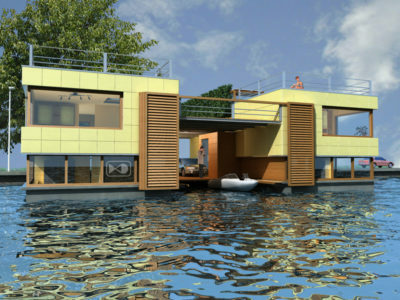 The villas together form one essemble. 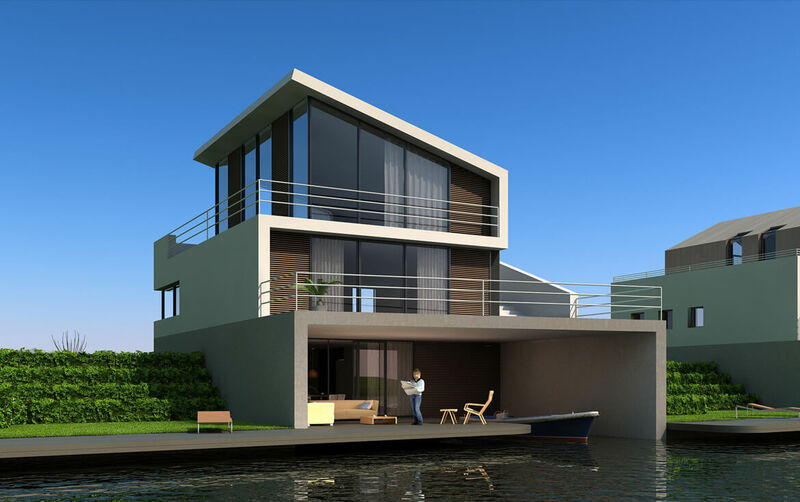 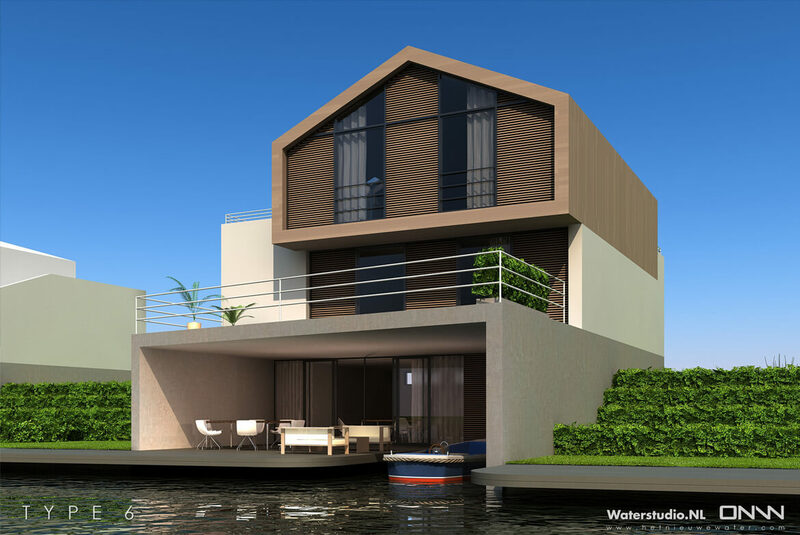 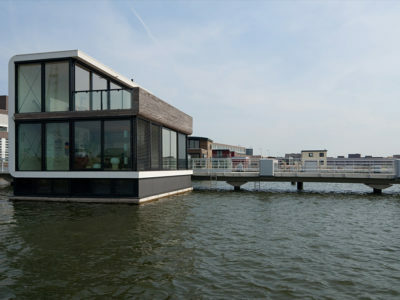 On the groundfloor the entrance is situated together with a boathouse and terrace next to the water.